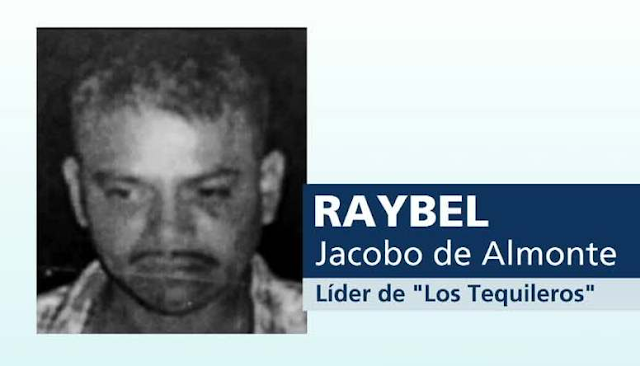 The Criminal Investigation Agency (AIC) of the PGR recaptured in Tlaquepaque, Jalisco, the girlfriend of Raybel Jacobo Dealmonte, "El Tequilero", leader of the criminal organization of Los Tequileros, this time she was arrested for her alleged involvement in at least one kidnapping . 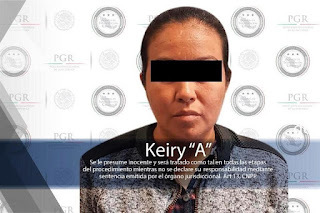 The federal corporation complied with an arrest warrant issued against Keiry Acosta Navarro, "La Keiry", for the crime of illegal deprivation of liberty in the form of kidnapping, reported the Attorney General's Office (PGR). "Derived from cabinet and field investigations, personnel of the PGR located and later detained Acosta in the municipality of Tlaquepaque, without the use of violence." On January 31, "La Keiry" was arrested by the AIC along with three other suspects, in the city of San Luis Potosí, accused of possession of drugs, although the details are not known why, she was soon released. On February 4, after being released, the Guerrero General Prosecutor's Office requested the AIC to collaborate in the search, location and recapture of Acosta Navarro for the kidnapping case. "La Keiry" is originally from the community of San Antonio de la Gavia, Municipality of San Miguel Totolapan, Guerrero and, after his release in San Luis Potosí decided to take refuge in the State of Jalisco to evade the action of justice” added the PGR . Put one in the dome of this rat and throw her in the Midle of the sea. Execute her and be done. Recapture, Chivis she was freed after a few weeks, money talks. How much time for kidnapping in Mexico. Stay tuned she will be freed again, and wait to hear recapture number 3. Catch, bribe, release, catch bribe and release. How about desmember her, just like they do to victims.